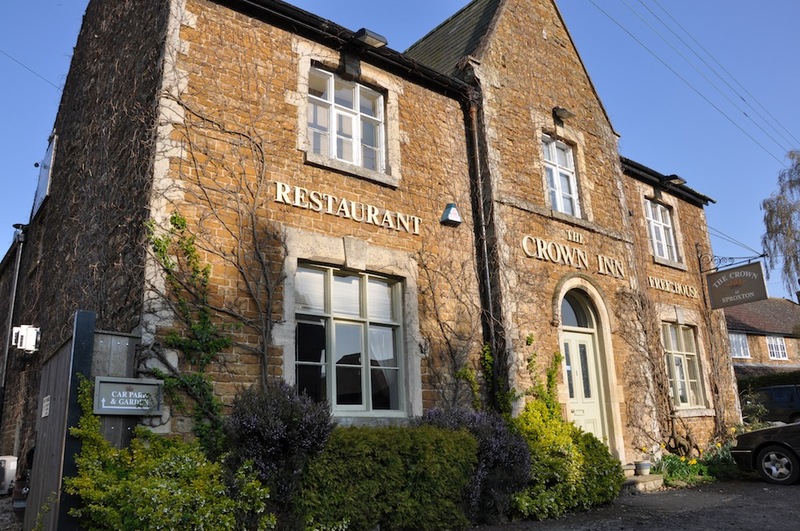 You’d be forgiven for missing signs to Sproxton (between Melton Mowbray and Grantham) but, as locals know, it is well worth seeking out the Crown Inn. Busy new manager Daisy Storey made time to give us a hearty welcome. We enjoyed aperitifs in the bar while choosing from bar snacks (£7.95 to £8.95), blackboard specials and a daily menu inspired by seasonal, local ingredients. Pears poached in red wine and wrapped in filo pastry with Stilton showcased the flair of chef David Presland, who has built a strong reputation. Ham hock terrine was firm, meaty and flavoursome but a whole black peppercorn gave a spicy shock. Confit duck was tender and partnered well with cassoulet-style beans cooked with pancetta. For a starter, however, it did not need garlic mash. The recently refurbished restaurant has a contemporary feel; the focal point is an impressive floor-to-ceiling wine display. There’s an extensive list, hand-picked by owner Barry Spencer. Le Grand Chemin Muscadet (2009) was crisp and lemony, while Vega del Rayo Rioja (2007) had earthy, blackberry flavours. A main dish of salmon was stuffed and cleverly rolled like sushi in seaweed, then baked in puff pastry. The crisp parcel revealed moist flakes of fish, creamy spinach and crayfish. Gratin dauphinois received a local twist with a bubbling layer of Red Leicester. Crème brûlée was a delight – smooth, creamy custard covered with a glassy, dark caramel. In the middle of providing first-class service to a busy dining room of couples and a 40th birthday party, Daisy confided there would be an outcry if this dessert wasn’t on the menu. It is easy to see why this establishment recently won Bronze at the East Midlands Tourism Awards for ‘Best Pub Experience’. There are bright new jewels shining in Sproxton’s 140-year-old Crown. Just remember to make that detour! CUISINE: Modern British, local, seasonal. PRICE PER HEAD: £30-£35 (for three courses and drinks). DOGS: Yes, in the bar. CUSTOMER CAR PARKING: To rear. FOOD TIMES: Closed Mon; Tue-Sat: 12pm- 2pm and 6pm-9pm; Sunday: noon to 2pm.